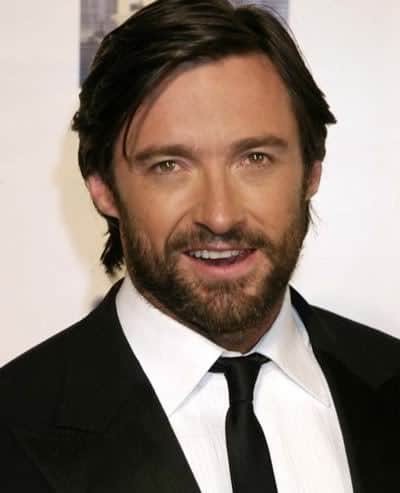 Hugh Jackman is an Australian actor and producer involved in both movies and stage productions. He was born in Sydney, Australian October 12, 1968 to parents Chris Jackman and Grace Watson. Jackman is probably best known for his role as Logan/Wolverine in the X-Men movies. He also played the lead role as the character Gabriel Van Helsing in the movie Van Helsing. In addition to these and several other movies, his voice can also be heard in the movie Happy Feet where he characterized the penguin named Memphis. Hugh Jackman’s hairstyles of undergone several evolutions over time. 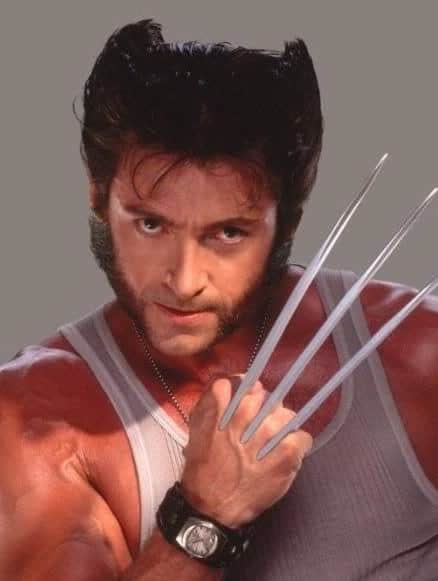 While in the role of Wolverine, he had his hair cut in such a way that the upper portion of the sides was longer than the rest, and had it styled so that the sides stood up almost like a pair of horns or a wolf’s ears. However, offscreen and in more traditional roles his hairstyle is more businesslike and conservative. Early in his career Jackman tended to be a bit of a rebel as reflected by his hairstyle of the time. This style was a medium length cut with layers that allowed his hair’s natural curl to give him a slightly messy appearance that said, ‘I really don’t care’. As he has gotten older, his hairstyle has become more laid back and traditional. Today, he normally wears his hair cut to a medium length on top, with its own little shorter on sides and in the back then parted on one side and combed over. His hair has natural wave and body that it appears thick and full. The good news is that almost any man can achieve Jackman’s hairstyle. The hair has any natural wave at all or he is willing to put in a mild permanent to produce the wave and apply a small amount of gel to help hold the hair in place. Thanks for this article, I was searching for the Hugh jackman hairstyle, can you please also publish a post about Captain America hairstyles.